Comes with 16k/16k spring setup. 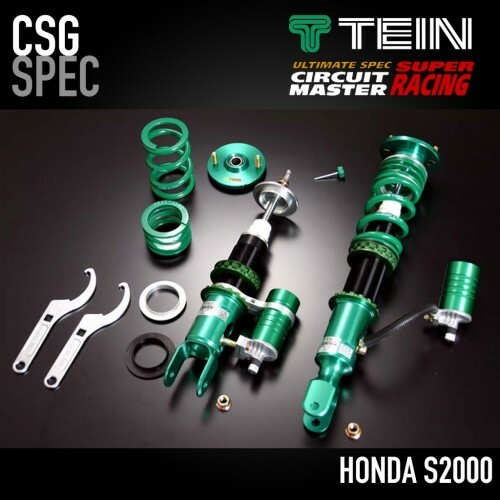 The TEIN SRC is a household name for the S2000 community, but refinements in the valving have been made to increase the ability for the user to fine tune the suspension setup further. As the average S2000 setup converges towards a proven setup for track and on the street, CSG found that even the most minute changes in valving characteristics can be the difference between winning and losing. With the introduction of the CSG Spec SRCs, barriers have been broken, and a whole new idea of suspension setups has been established. To prove its capabilities, CSG prepped S2000s with limited modifications are breaking the 2-minute golden barrier at Buttonwillow Raceway's 13CW configuration. Buttonwillow's high-G corners and uneven pavement and berms pushes the boundaries of suspension tuning. In order to break the golden barrier, a car needs to be completely balanced and the driver needs to be completely confident in the car's abilities to push the car to the limits. TEIN SRC CSG Spec has proven this concept time and time again. 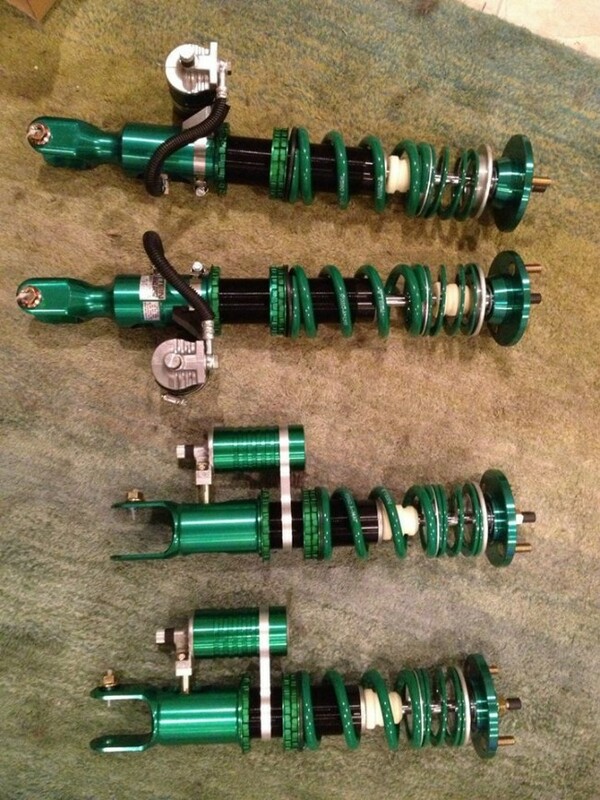 It is now the golden suspension setup for S2000 drivers all over the world. TEIN SRC CSG Spec comes with 16k front and 16k rear springs.